Story: The story of three friends (Green, Lillard, Shepard) from the big city of Philadelphia who go canoeing together out in the woods and mountains of Washington State after the death of a friend, Billy. Billy was obsessed with going there to search for the unaccounted-for $194,200 out of the $200,000 that famed airliner highjacker D.B. Cooper parachuted with quite possibly to his death in 1971 $5,800 of his marked ransom loot was found in 1980. 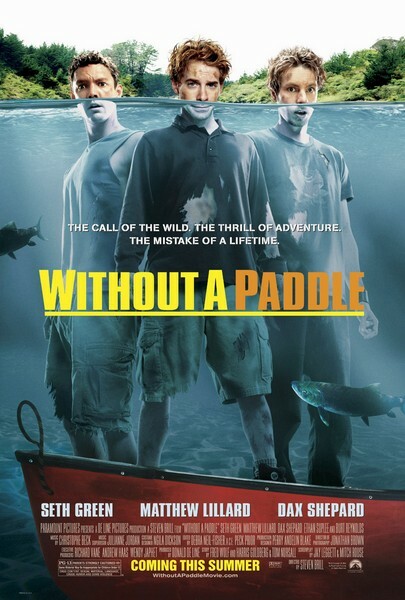 Canoeing down the Columbia River, the trio soon finds that their canoeing experience goes wrong..., horribly wrong, as the river turns dangerous, and they have an encounter with a crazy mountain man (Burt Reynolds).